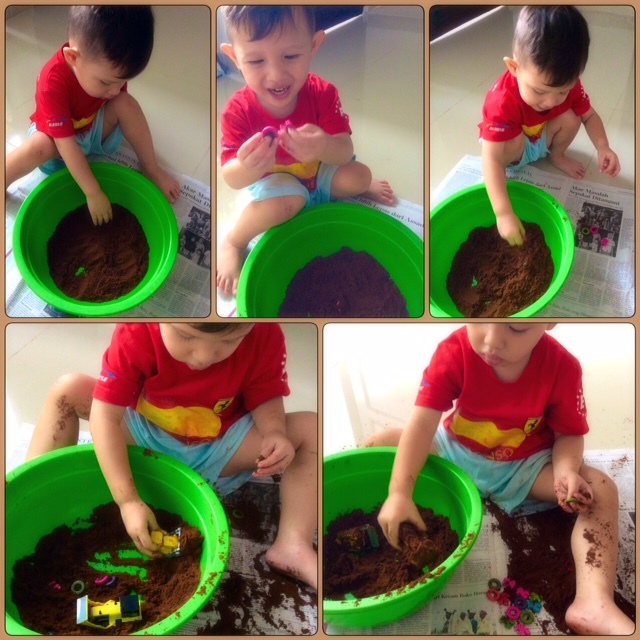 Invitation to play : look who’s happy of getting messy today?? I let my 2yo son to find some beads covered in the coffee powder. and taste objects are also better at retaining words. So… Let’s give it a try!! To make it more fun, I let him play with his tractors which is also good for encouraging his imagination.